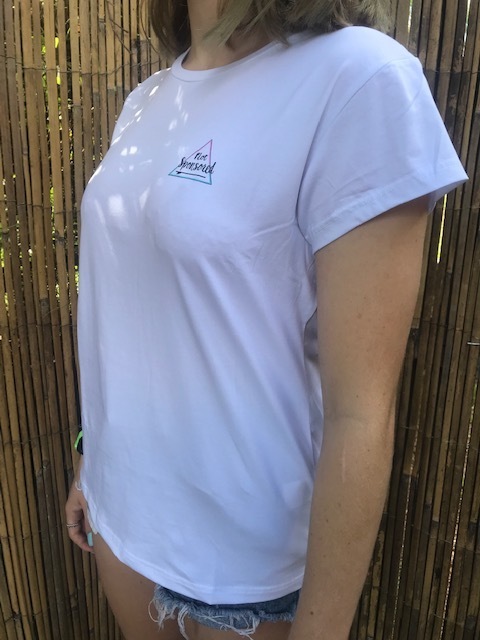 FLOYD Not Sponsored Bamboo Surf Shirt SPF 30+, is designed to be worn in and out of the water Great quality 180 GSM that will service you well, 45% Bamboo 50% Organic Cotton 5% Spandex to allow maximum comfort and performance in and out of the surf. 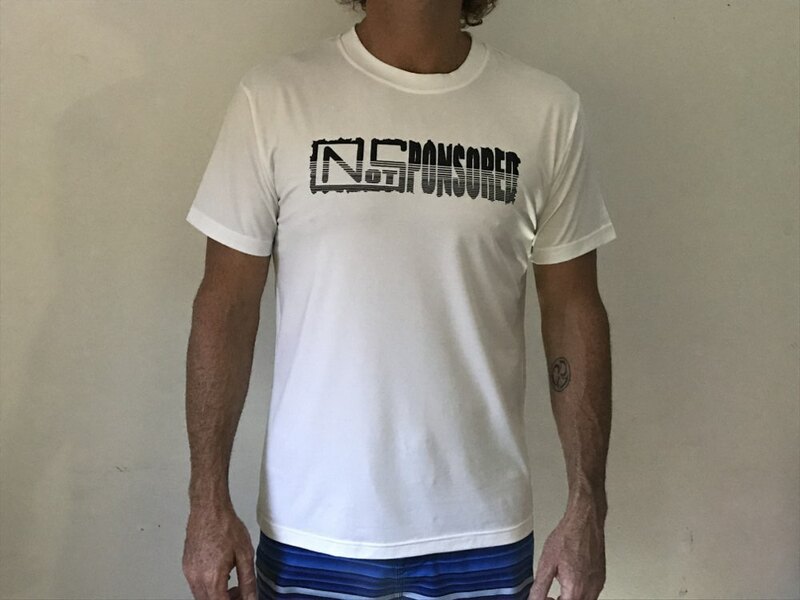 Naturally anti bacterial bamboo helps keep stay fresher for longer (not that ladies who surf are ever anything but Fresh) Super soft and comfortable yet very durable so it can take a beating from contact with your board. The style is "slim fit" - It doesn't need to be skin tight like a rashie but you can wear it skin tight if you prefer. BUT I WILL SUGGEST IF YOU PLAN ON SURFING SOME HEAVY WAVES THEN WEAR IT TIGHT! 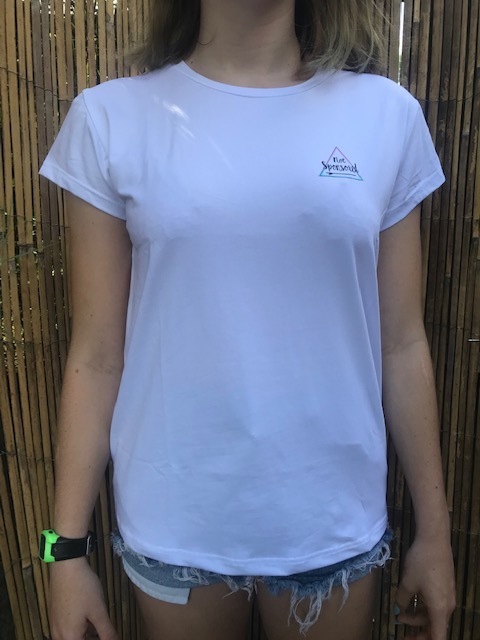 Great for everyday wear, travel, the gym Cool in summer and warm in winter due to the natural thermo regulating properties of the bamboo. Great for sensitive skin too. Fast drying. Enviromentally friendly and sustainable production methods and inks. 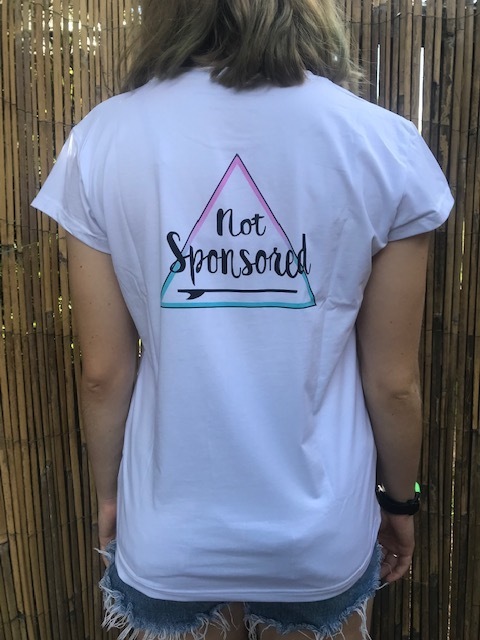 And remember anytime you buy from us here at Not Sponsored you are helping support sufferers affected by severe Neuromuscular conditions like MMN (Motor Neurone Diseaes), so we sincerely thank you for your support!